Take as many photos as possible when shooting a animation. Which Lego Adventure movie is best? SP: An all new movie for 2014! A shot from the new movie, Attack Of The Giant Pig. 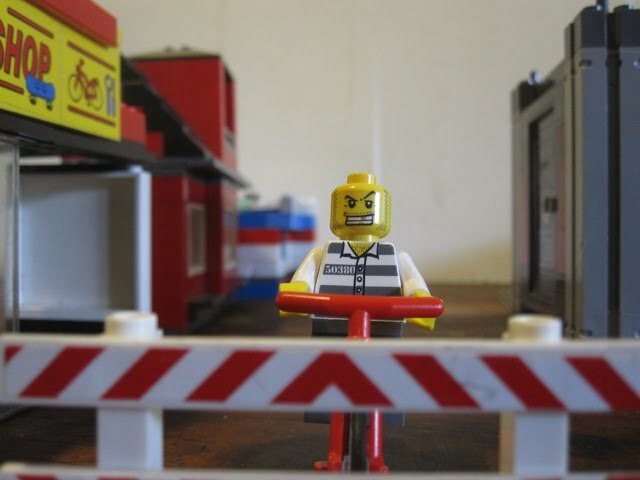 Even before the release of Lego Adventures in 2011, Maxim Hussey had been thinking about the sequel to the movie. "We really wanted to make a movie with more plot to it," he said. And now it's finally here. In April this year, Little Big Shots will screen the new movie as part of the film festival in Melbourne. The film revolves around a Giant Guinea Pig, created by one very evil criminal, and a very cool hero sets out to stop his evil plans of destroying the city, but will it be to late? Even though the film is twice as long as the original, it still has some of the classic Lego Adventure character. "We're really exited about the movie and we hope that people enjoy it," said Maxim. legoadventuremovie.weebly.com or keep looking at SP Mag for more exclusive updates. Attack of the Giant Pig also has a Twitter page and you can check it out here.